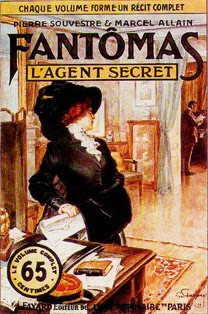 One hundred years ago today, the criminal genius known as Fantômas was first released into the world in the form of a fat paperback novel printed on uncut pulp paper. 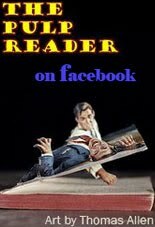 Written by Pierre Souvestre and Marcel Allain, it sent shock waves throughout popular culture which resonated in literature (with numerous knock-offs), silent films (the Feuillade serial adaptations, but also notably F.W. Murnau's FAUST, which quoted Gino Starace's striking cover painting), and which still resonate today. One of these still-rumbling shock waves we now know as the Anti-Hero. Head over to Video Watchblog to check it out! A Centenary Celebration of the Literary Creation of Pierre Souvestre and Marcel Allain. WHO IS FANTOMAS?? Arch-villain? Mad genius? Master of disguises? Agent of chaos? In 1911 the pulp fiction writers Pierre Souvestre and Marcel Allain introduced a fictional character to the French reading public that was to capture their imagination and keep them yearning for more. The ultimate anti-hero, as enigmatic as he was treacherous, Fantomas executed the most appalling crimes with ruthlessness and precision. He spread terror and chaos amidst the lives of a bourgeois society that he took pleasure in ridiculing. Souvestre and Allain were in tune with the pulse of the public's fascination with shadow-side of modernity. Fantomas was to become one of the most popular serials in the history of French crime fiction anticipating the future arrival of Fritz Lang's Dr. Mabuse and the master villains of Ian Fleming's James Bond novels. On the occasion of the one hundred year anniversary of the creation of the FANTOMAS series, City Lights Booksellers and Publishers joins centenary celebrations in Paris to commemorate this extraordinary literary event. FANTOMAS BY-THE-BAY shall feature: readings, lectures, film screenings, art exhibitions, and performance art, featuring Robin Walz, Dominique Kalifa, Daniel Handler, Mel Gordon, Marc Ellis, Howard Rodman, Jonathan P. Eburne, Janaki Ranpura, Jill Tracy, and more. Readings and performances by Jonathan P. Eburne, Marc Ellis, Andrew Joron, Daniel Handler in a musical duet with chantuese Jill Tracy, Dominique Kalifa, Brian Lucas, Joseph Noble, Howard Rodman, and Robin Walz, and more tba. Engage in crimes of love, where visiting crime scenes is the dating game. Interactive environments and puppets take you on a noir journey to the human heart, which is made of candy. The spector of Fantomas looms in the shadows.